A land of wondrous landscaping and rich cultural history, Sri Lanka is paradise for travel-junkies who love exploring exotic lands. A tropical treat housing many tourist sites, this country boasts of pristine beaches, rocky peaks, and much historic wealth. Best part is, you can also explore Sri Lanka by driving across its fascinating countryside; it will, no doubt, be a most memorable experience. Contrarily procuring permit to drive a car in Sri Lanka is not that easy. It is a cumbersome task but that is why we are here to save your time and efforts! We spent a lot of time understanding the nitty-gritty of renting a car wherein we could have saved some time had we prepared well in advance. So first of all, to drive a car in Sri Lanka, one must know how to drive a car. Okay, bad joke. So, one must have a driving license from their Home country in addition to a valid International driving permit. As I said renting a car here for a self-drive can be a hectic task because of the prevailing stringent rules in Sri Lanka, so even after obtaining an International Driving Permit one should think twice before getting behind the wheels! Will discuss that later. One cannot always rely on the internet for resourceful information! According to various online portals one could get an IDP from The Automobile Association (Colombo), WHICH IS NOT TRUE! We have already fallen prey to the obsolete information, you don’t. One has to go to The Department of Motor Traffic in Werahera which is on the department of Motor traffic road which is just off the Horana road. Be careful and aware because there are two Department of Motor Traffics in Colombo! Photocopies of pasporty page, driving license and visa page. Note – In case you forget to take the required Xerox copies of the documents then there is a small photocopy shop adjacent to The Department of Motor Traffic… so nothing major to worry about! Overall, I would say it was a nice experience! Unlike others I won’t say that Sri Lankan driving will put you off because as long as you keep in mind certain details, driving there will be a smooth ride. Although I would mention here of the heavy traffic condition in Colombo-Southern expressway which literally made us cringe for a few hours. It was a weekday; afternoon time and the roads were blocked. Prefer the expressway on not-so-busy hours and it will be a delight. Apart from that, the other roads we drove on were pretty good with exotic views, happy natives and feel good scenery right out of the car window. The main trunk roads were well maintained and in excellent conditions. Also, driving as a traveler has its own perks because you are independent and free in the unknown land. Just put your GPS on workmode and driving a car in Sri Lanka would be a breeze. Or, this might be because of the fact we come from an Asian country where the driving situation isn’t as feasible either. Alternative to driving a car is hiring a driver which is quite a feasible option. We were recommended by a few of our friends to rather rent a car in Sri Lanka without driver. However, we feel glad that we didn’t hire one yet one should not ignore it as an option. It is best for those who cannot survive with the stressful road conditions in the Asian countries and don’t want to indulge in IDP procurement procedures! Tourists visiting Sri Lanka through tour agencies can hire drivers as a part of the package which becomes more like a personal tour guide. It is a good way to explore the country because of the available tailor-made trips and better itineraries. 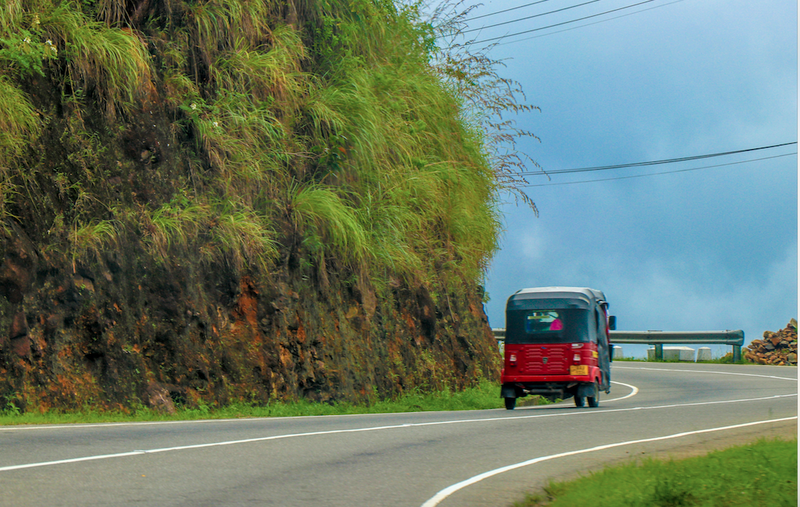 But the charm of exploring Sri Lanka is definitely in taking those detours which end up in exotic landscapes and driving on the highways with countryside views in tow. If we are to compare the prices of hiring a driver and self-driving then both are economical and have no major difference (except for the happiness of driving by yourself). There are many car rental companies in Sri Lanka, however we booked ours online from Casons rent a car company. It has wide range to choose from according to your requirements … whether you want an economy car or prefer an SUV, they have all of it. 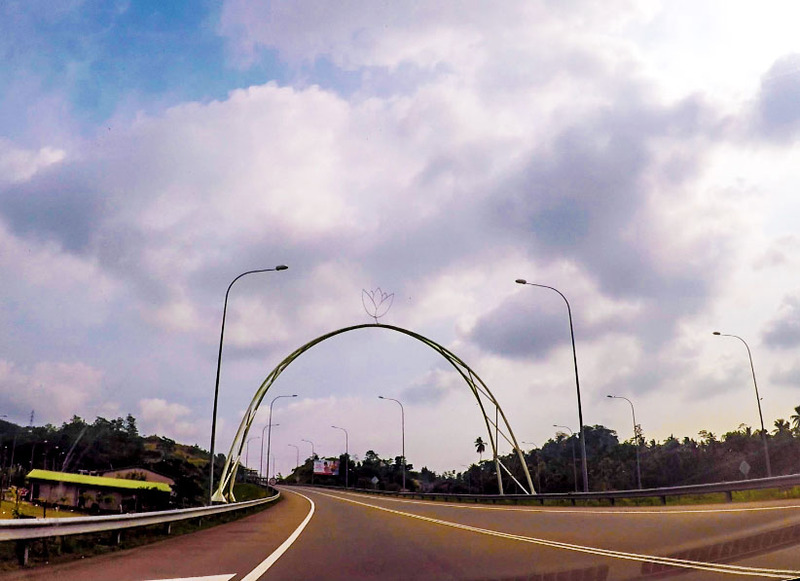 We took southern Expressway to reach Galle from Colombo and it took us nearly 2.5 hours to reach Skinny Beach House – our accommodation in Galle. The highway has spectacular views that are not to be missed. However, as I said do not drive from Colombo during the rush hours in order to experience chaos free journey. Don’t be surprised if somebody suddenly jumps in front of your car while driving during the late evening hours. Although there are car headlights but with no street-lights and careless pedestrians at some places, it is important for the person driving to be cautious! 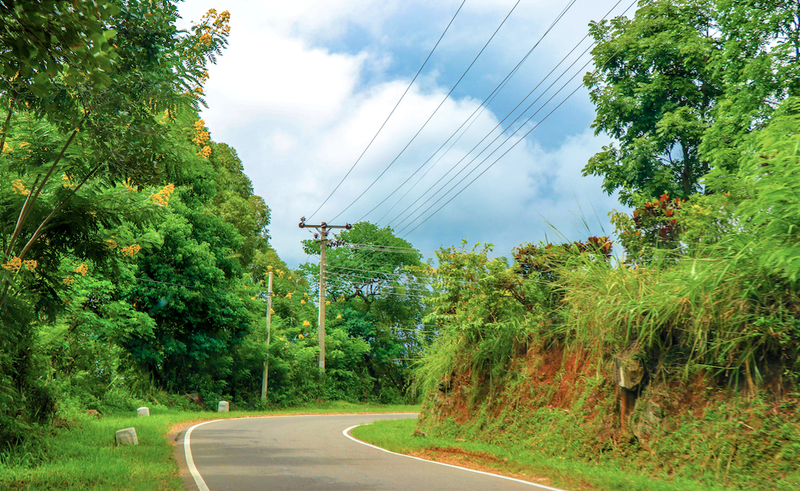 Ensure that you have GPS because Sri Lankan roads have basic road signs but no detailed maps or sign boards. We used Google maps which was 99% effective and navigated us to nearly everywhere. Buses are notorious for driving fast. There have been lot of instances of bus accidents in the past so beware! Not that we encountered one. Enjoy every bit of the drive because if you are living in a vastly populated country like India then empty and traffic free roads of Sri Lanka accelerate your happiness too! Will be keeping these tips in mind when we visit here! And good to know that Google maps works well over there. I would definitely drive as that would add to the amazing experience of visiting the place. I have a long layover in Sri Lanka returning home from my trip from India. This post is super helpful as I wanted to get out and explore and was considering hiring a car. I hope you enjoyed your trip! My relatives has just done Sri Langka last year and they love it so much. They hired a driver but I would prefer to do my own driving. Thanks for the information on the International Driving Permit. sri Lanka is on my bucket list, however, I’d be a bit worried about the “driving custom” there. I was in the back of taxis in India and it was always an adventure going from one place to another! Do you feel it’s similar in Sri Lanka? That’s great that Google maps work just fine there, I had trouble last time I travel cause it was acting up. Great post! Very helpful.